1-min sketch, Starbucks at Lacy-Lakeview, Tx, Jan 4, 2010. 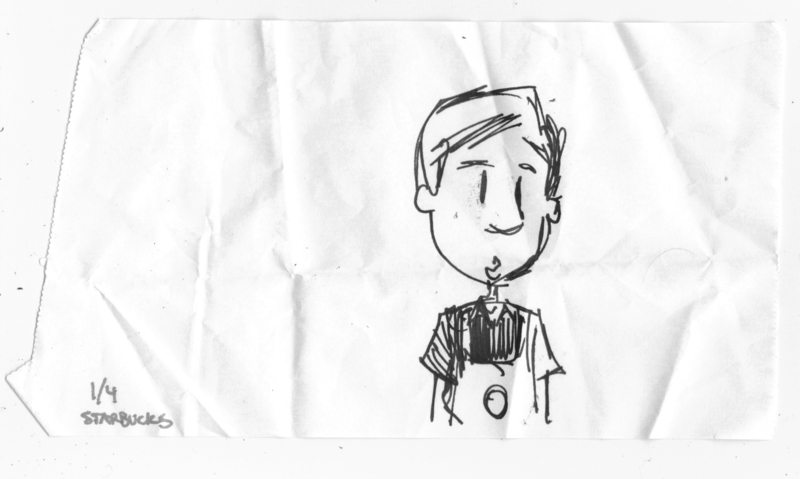 Pen on receipt paper. I was trying to impress some other baristas. Now you, as well.